Potteries Auctions Ltd were the first Auction House to specialise in selling Royal Doulton and Beswick pottery. Established in 1991 we are now one of the leading Sale Rooms dealing in 20th Century British Pottery. We hold at least one Auction per month with Sales attracting much interest both nationally and internationally. World record prices have been achieved for Royal Doulton, Beswick, Wade and Carltonware. A number of miscellaneous Sales are held over the year covering pottery and collectables from all the major manufacturers including Wedgwood, Goss, Shelley, Wade, Crown Devon, Midwinter, Royal Worcester, Crown Derby, Clarice Cliff, Charlotte Rhead, Burleigh Ware, Shorter etc. 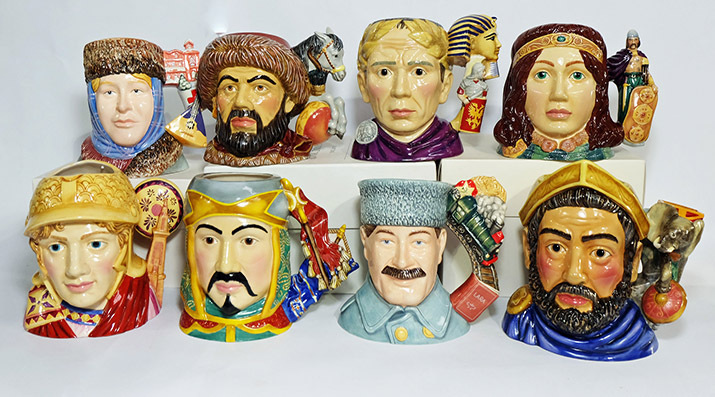 There are also four Specialist Sales dealing solely with Royal Doulton and Beswick, as well as Specialist Sales in other areas such as Pendelfin and Beatrix Potter, Character and Toby Jugs. Catalogues are available on our website at www.potteriesauctions.com or you can subscribe to have full colour catalogues sent direct to you. Send £15 postage with your name, address, email and telephone number together with the details of what you collect.